Something that is not about Disney, but all about it. At least when it comes to inserting the Marvel characters into the many parks that the Mouse owns or co-owns. 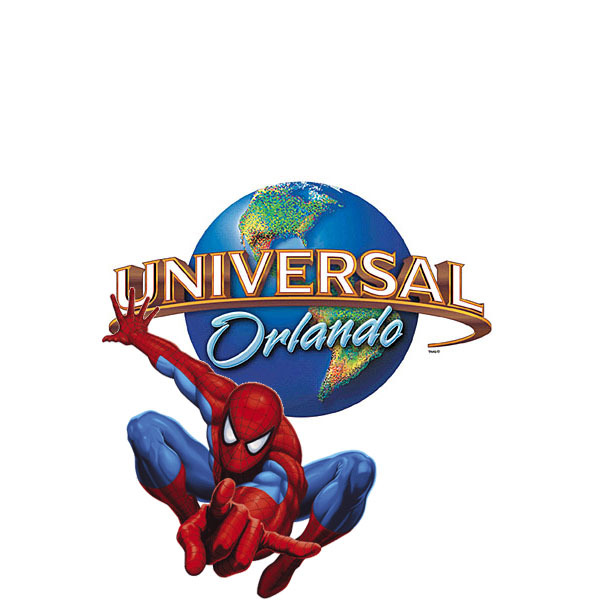 Universal Studios owns Universal Hollywood outright, but the other Universal Studios theme parks that it owns are co-ventures; even Universal Studios Orlando. That theme park is co-owned by the Blackstone Group. They own a fifty percent equity in the two theme park resort and are now looking to sell their share. With the success of "The Wizarding World of Harry Potter," the group looks to capitalize on its investment and get a premium for the shares that it has. One of the interesting things about the agreement between Uni and Warner Bros. is that a change in ownership will trigger a clause in the rights to that franchise, which could mean they could lose it or have to renegotiate the original agreement for a much higher fee. Now, realistically, Universal is coming off their best year ever with attendance and spending, so there is no way the Uni Suits are going to plan on giving away what has helped turn their parks into destinations that is usually only reserved for Walt Disney World. They will do what they need to do to keep them inside the park, which means a renegotiation if necessary. That said, it makes one wonder what the agreement that Universal Orlando has with Marvel is like. Is it similar? Because if it is, this could be the out that Disney would look for to wrestle control back of properties that it would love to exploit at its own parks; particularly those just a little ways down the road from IOA. You can bet that the Mouse's lawyers will be looking at every line of the agreement for wiggle room, and unlike TWWOHP, there would be no reason to settle. Any renegotiation by Disney would be set at a level meant to make such a renegotiation prohibitively expensive. That way, the Walt Disney Company could walk away with the rights to the properties it bought in 2009 and be able to start planning attractions or even parks without fear of some form of litigation nightmare. Universal would have to come up with a way to retheme the attractions to other characters that it owns or someone else would be willing to license to them. If I was Warner Bros., I'd consider this a great opportunity to offer the DC Comics properties instead. It'd be a major upgrade from Six Flags and branded characters that would fit into the theme parks need for highly visible franchises. Couldn't you see that Spider-Man attraction being retooled for Batman or Superman? Maybe retheme that Hulk coaster to the Green Lantern? So, depending on how good Marvel's lawyers were, we may be seeing men wearing their underwear on the outside of their clothes sooner than we thought. You don't think a Batman attraction would do as good, if not better than Transformers? "start planning attractions or even parks"
What do you know about this, Mr. Hunter??? Nope, universal is already building a transformers attraction in Hollywood with the the same technology as spiderman, and Hulk could be easily re themed to optimus prime and dr. Dooms fearfall could be megatron. And it would be really cool to see full size transformers in and around the coasters and buildings. Leave batman and the dc comics at six flags!! Not such clause exists in the original agreement with Marvel. You can read it for yourself. You can also read the Harry Potter agreement. They're already building a Green Lantern coaster at SF Magic Mountain and Great Adventure, so I doubt Universal would use the same exact idea. More than likely, they'd make Marvel Superhero Island into Sci-Fi City like in Singapore, with the Hulk become Battlestar Galactica and Spider-man becoming Transformers. "Not such clause exists in the original agreement with Marvel. You can read it for yourself." "Certain portions of this agreement have been omitted pursuant to a request for confidential treatment and are replaced herein by ***. The omitted material has been filed separately with the Securities and Exchange Commission." Some of the information was filed separately with the SEC, so we don't know. So you never know as what was left out or amended. "...and be able to start planning attractions or even parks without fear of some form of litigation nightmare." Wasn't it suggested recently that Disneyland Paris was interested in a Marvel themed themepark to occupy the spot for their third gate? I predict that NBCU either buys Blackstone out completely or lines up another investor to partner with. I think Steve Burke has probably been eager to get back in the theme park game after being away from Disney for so long. Marvel at present doesn't fit easily into anywhere in WDW or DL. Only fine links with Tomorrowland (and with Adventureland and Frontierland), possibly Dinoland USA and Hollywood Studios (- only when you think of the properties as just Television and Movie franchises). Can't imagine that Marvel would be forced into DCA after their Extreme Makeover either. Opening a Marvel area anywhere would unfortunately disrupt theming or story of the parks they join. Have to wonder really if Disney are willing to wait and wait until they are ready to open a new US theme park - possible 3rd or 5th gate or another kind entirely, until they are REALLY interested in Marvel. Because for now if they were to open attractions tomorrow they would be majorly shoehorned in. Unless of course Disney is dying to update The Great Movie Ride with Spiderman and Iron Man featured? The only advantage Disney would get now is that and walk around\ meet and greet characters. Unless they are going to get a significantly better deal of course. "Some of the information was filed separately with the SEC, so we don't know. So you never know as what was left out or amended." As is stated, the omitted information is marked and context shows that it is mostly related to exact monetary figures. You're damn right it doesn't, and it never will. If the Muppets' purchase was Eisner's folly, then Marvel is Iger's. If the Mouse House wants to blow money down the hole for superhero movies, fine; but don't disfigure the parks with those things. I hope the Marvel characters stay at the Universal parks for all time to come. Disney could just license the marvel characters to other parks and avoid the hassles of trying to come up with the kind of outstanding attractions that Universal has been beating them with. If Disney is reluctant to put in the effort to counter what Universal had done in recent years, then they might just as well give it up and just become a character franchise distributor. Just rake in the licensing fees and not worry about having to do anything creatively (costly).